We caught up with Steve Simpson in between coaching sessions to find out more about his bestselling book ‘Play Magic Golf’. In addition to being a doctor, Steve is a pro-tour caddy and runs coaching workshops that guarantee to reduce people’s handicaps. The book followed many chart topping mp3s for golfers (No.1 non-fiction download on iTunes in several countries) and takes people on a journey to controlling the mental side of their golf game. It’s applicable to any sport, and indeed, Steve argues, to life itself. What prompted you to write your first book about golf? Curiously I’m a keen golfer, but far less obsessed with golf than many people would expect. I am far more consumed by the awesome power of our mind, and how we can use it to unleash our hidden potential in all areas of our lives. Golf was the ideal entry point, because it is the one of the few sports where the mind is at least as important as technical ability, especially at the highest level. Why the connection with ‘Magic’ in the title ‘Play Magic Golf’? I have a child-like fascination with magic in all its forms. We can learn how to perform card tricks, but we will never understand the magic that surrounds us in the natural world. How does a spider know how to construct its intricate web? How does a salmon swim thousands of miles to return to its birthplace? How do some people survive the most appalling illnesses and adversities? This is the essence of magic, and there is a lot of magic in golf too. I have several, all for different reasons. Despite his recent problems Tiger Woods has taken the game to a new level, and attracted millions of new fans to a sport that has been seen as elitist, and frankly boring. I like Rory McIlroy because of his youthful innocence and massive raw talent. My favourite is Caroline. She was my first client, and her 3 holes-in-one in quick succession grabbed people’s attention. She didn’t follow all my advice, but then wives rarely do. Your love of golf comes out in the book, how long have you played golf? I first started at the age of 14, but it was a lot more expensive then to get started than it is now. I also spent most of my life working in developing countries, so there were few opportunities to play. Now I spend most of my time in England, have more opportunities, but a lot less time than I imagined. Who will enjoy the book the most, the gals or the guys? I hope my book will resonate with people from all segments of society, and of all ages. As far as I can tell it does. I enjoy the notes from many men and women who write to me about their golfing stories. I also know some of our top teenagers like the book too. They are mad keen about their golf, though I think they prefer the audiobook version. If you include writing boring business reports and research papers then I’ve been writing all my working life. I’ve only been writing stuff I enjoy for four years. I started with a 30-minute audiobook which became an instant international best-seller. Previously I would never have believed I had a book in me. I learnt the priceless lesson that if you can write a paragraph you can write a page, then a chapter, and before you know it you have something that resembles a book .I should have worked this out a lot sooner, but better late than never. When I finished writing ‘Play Magic Golf’ my only plan was never to write another book. Curiously I soon realised that writing had insidiously become an important part of my life, and now I can’t imagine a life without it. So there are lots of plans. Certainly the next book will be written for a wider audience. There are so many ways we can all enrich our lives by more effectively harnessing our brain power. Often the most important step is ditching the self-limiting beliefs we learnt at school, and in later life. 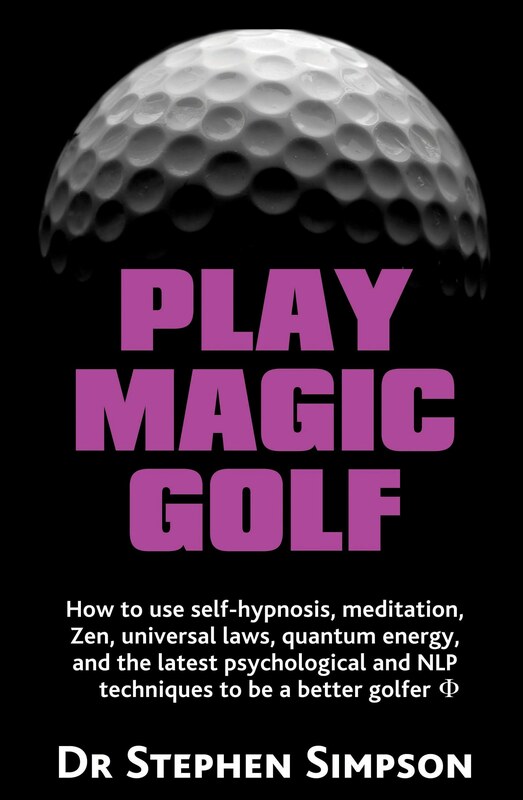 Play Magic Golf is available in paperback from all good bookstores including Amazon, via Amazon Kindle (where it is currently #2 in Hypnotherapy) and Kobo, and through iBooks (iPad and iPhone). In the USA Hypnothoughts have trade pricing too. I take your point, Steve Paul Martini was born in 1946 in San Francisco, California and grew up there and in southern California. He graduated from the University of California at Santa Cruz and begun his job as a newspaper reporter in Los Angeles.